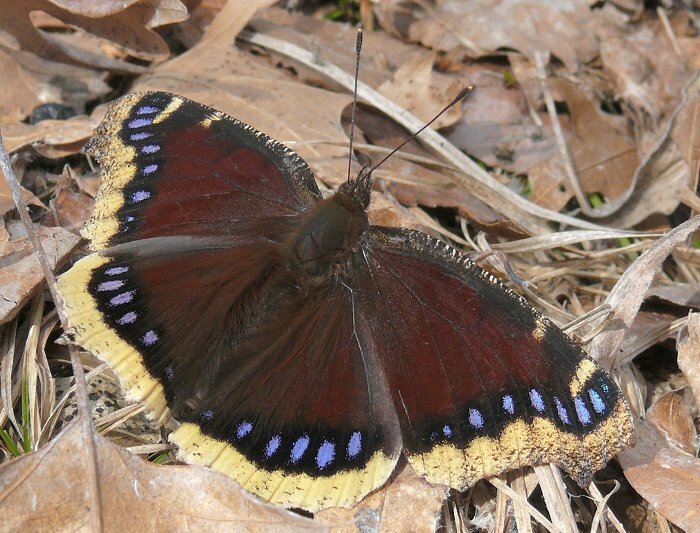 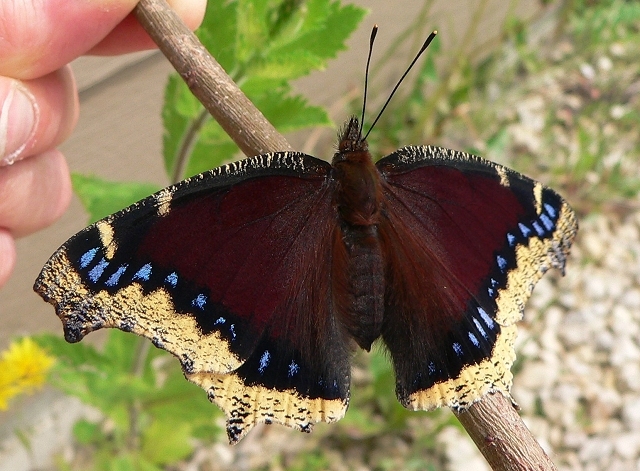 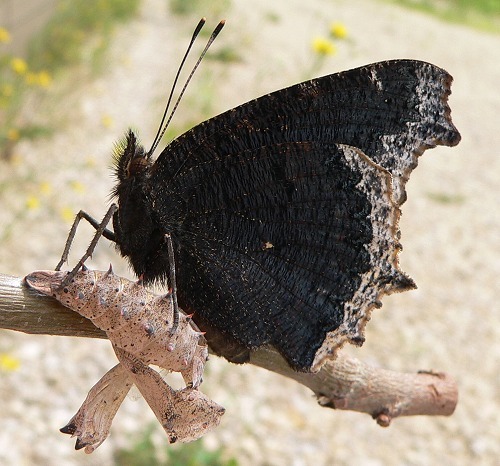 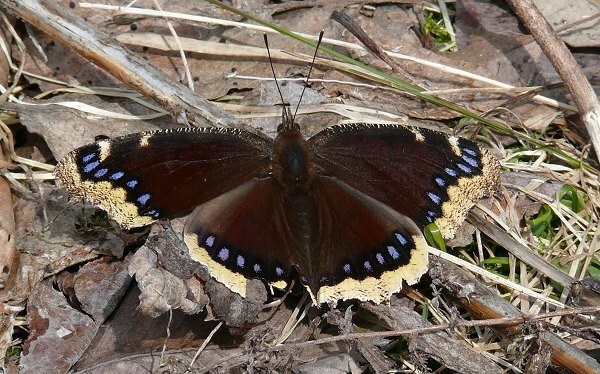 This is one of the earliest butterflies we see in the spring. 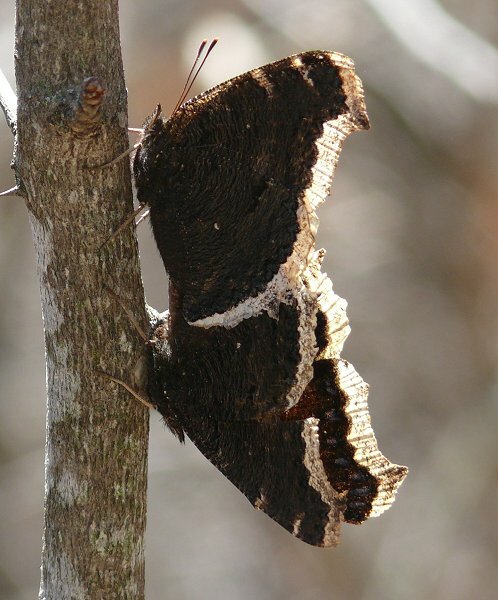 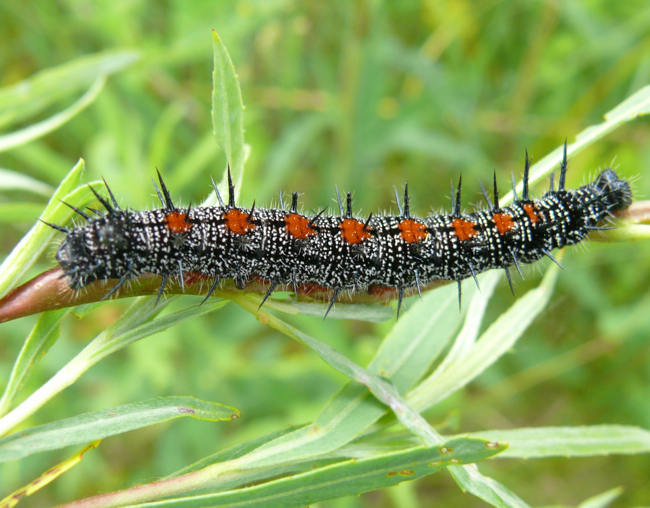 They spend the winter as adults, hibernating in brush piles or under bark. 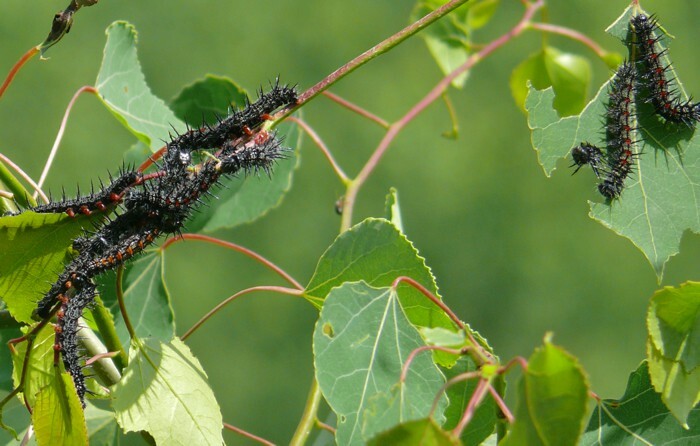 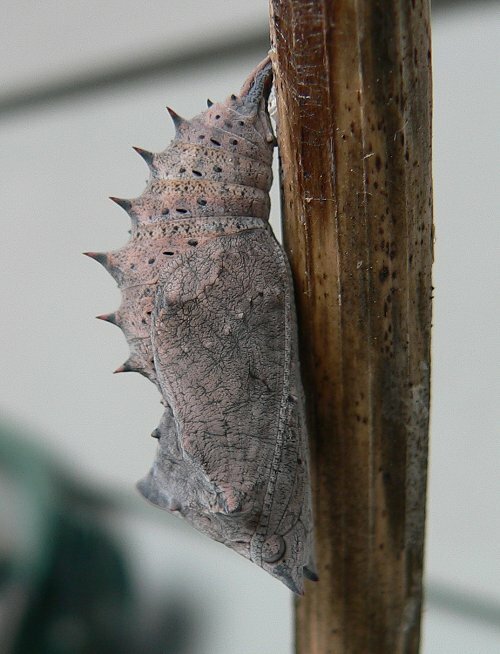 The adults feed on tree sap or rotting fruit.